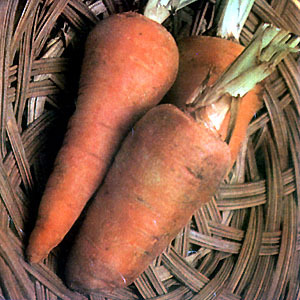 Karot (Carrot) – Scientific name: Daucus carota Linn. Astringent, antiseptic, anti-inflammatory, antioxidant, sudorific. Introduced in the Philippines and cultivated for its valuable roots. Roots contain vitamin A. B, C, E, the minerals phosphorus, potassium, calcium. Believed to be beneficial for cancers and kidney problems. For coughs and chest afflictions, the roots are boiled in milk; the milk is drunk and a poultice of the root is applied to the chest. For burns and infected ulcers, grated carrots are applied to the affected parts. Poultice of carrots also used for ulcers, carbuncles, infected wounds. Seeds of the plant when ground to powder and taken as tea for colic and to increase urine flow. Tea of carrot blossoms has been used for treatment of dropsy.